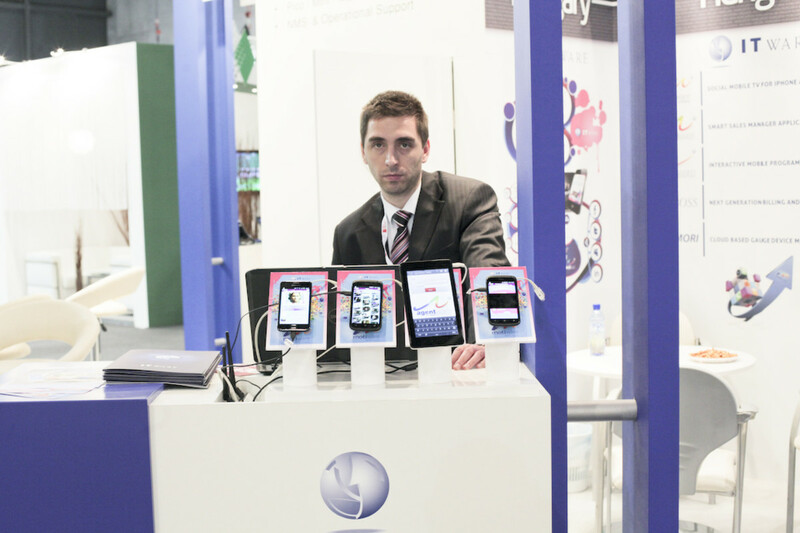 Salesmen at last year&apos;s Mobile World Congress. 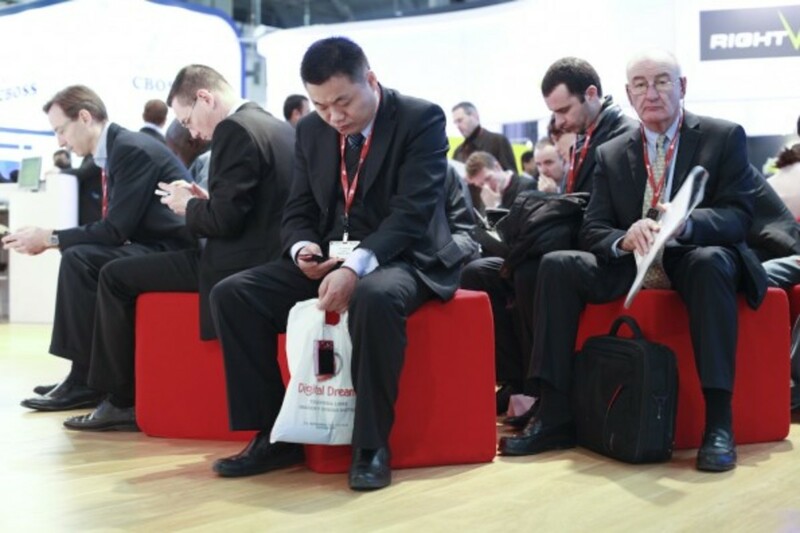 This week, an announced 72,000 people attended the mobile phone industry&apos;s largest conference. 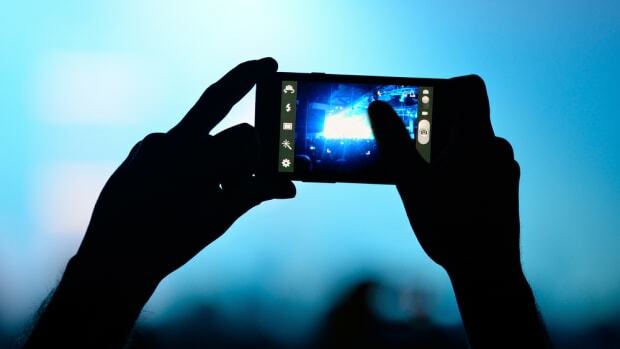 The Mobile World Congress has taken place every year around this time since 1987, when handsets were the size of baguettes. 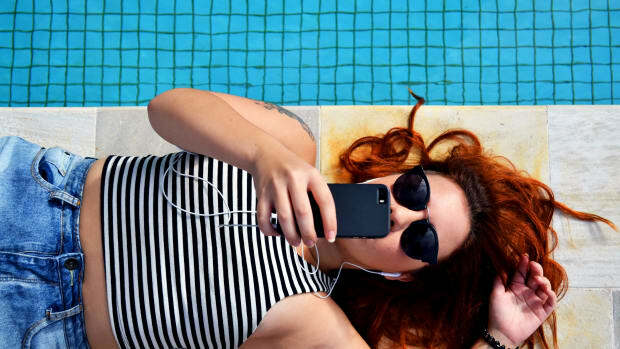 The event grows in importance each year but really exploded in the last two or three, echoing smartphones&apos; emergence as the world&apos;s key retail electronic technology. Last year&apos;s conference set attendance records—until this year&apos;s smashed them. 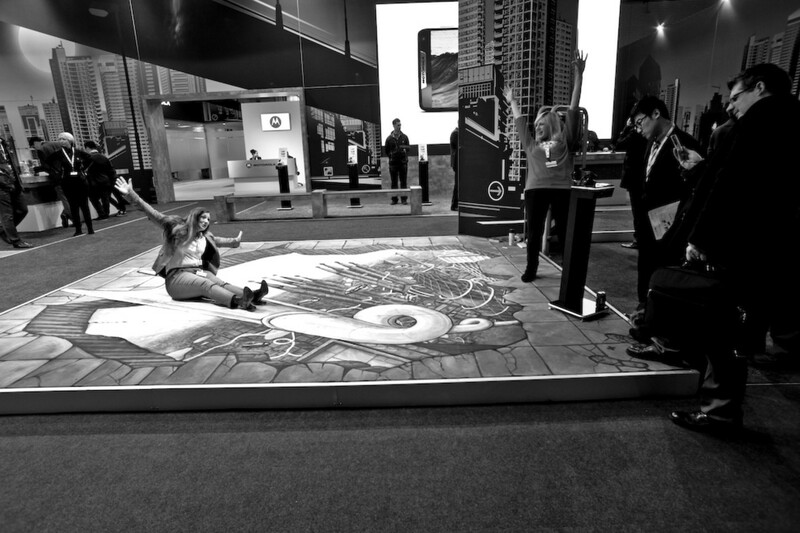 The technologies on display at the MWC are becoming more central to human experience, changing how billions of people behave every day. For the past six years I&apos;ve covered this conference for one or another publication—it happens down the street from my apartment. The unintended result has been a half-decade immersion with the people who trade in the magical, sometimes ugly, technology taking over the world. Below, some outtakes and notes on the hawking of your mobile phone. IN EUROCRISIS-WRACKED BARCELONA, the conference isn&apos;t about phones. It&apos;s a way for locals to get a week&apos;s work in the cold months of the local tourism industry&apos;s off-season. Initial reports suggest the four-day event generated a third of a billion Euros— about US$400 million—for the city. It also put a momentary dent in the brutal youth unemployment rate, which in Spain has reached one in two. Agencies for azafatas—hostesses—do particularly big business around the event, hiring hundreds of young women (and some, but fewer men) to represent companies on the show floor. Others attend post-conference parties—taxi dancers, basically. 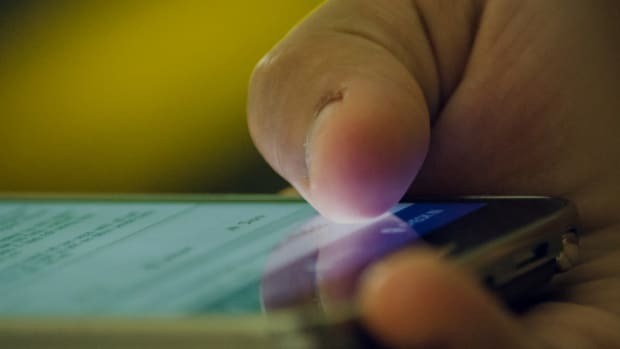 Even as trade shows go, the heavily male mobile industry&apos;s event has had a reputation as a place where the azafatas tended to get harassed. 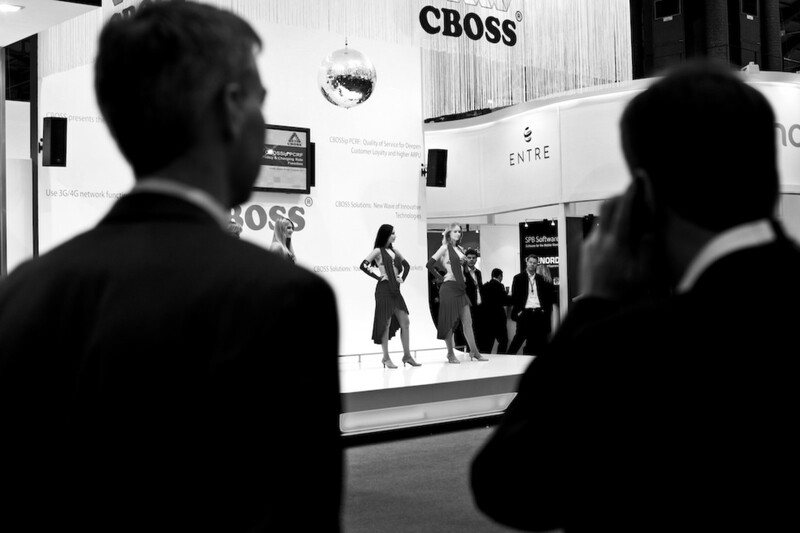 This year saw organizers push back against that reputation, banning the large Russian telecommunications firm CBOSS, famous for its stall being just a stageful of near-naked dancers. When an open secret of many years finally broke in the press—that CBOSS officials offered nights with the young dancers to sweeten conference-week deals—organizers cancelled the company&apos;s 2013 invitation. The move sent a message. And this is hardly rare at trade shows. But the CBOSS flap also suggests that, as rumored, mobile was one of tech&apos;s sleazier corners. MWC azafatas wear ridiculous costumes and have a lot of patience. The MWC is a target for other kinds of political criticism. Early in the week a small crowd was respectfully handing out fliers, which virtually everyone ignored, opposing the use of rare metals in cell phones. But a day later, Euro-crisis layoffs brought bigger numbers and the TV vans, when employees of the local cell phone giant, Movistar, came out to complain about crisis-related layoffs. 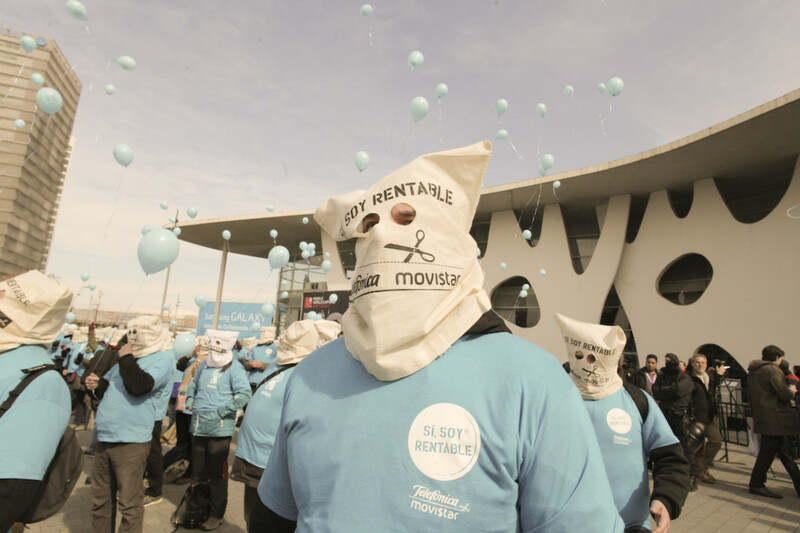 They wore bags over their heads that said soy rentable, which can mean "I&apos;m worthwhile" or more pointedly, "I produce profit." For a moment, things got uncomfortable. But just for a moment. But that was outside. Inside, frustration gave way to exuberance, or at least the not-quite-smug acknowledgement that this is the industry of the moment. The creativity on display was undeniable: a lot of the items in the hall are better called "inventions" than "products." They&apos;re both. You saw drastically efficient charging stations for electric bicycles, wirelessly controlled. Or apps for recording one&apos;s own health statistics on a phone and beaming them to specialists in distant hospitals. Or full-size cars that run by remote control, for better or worse. And toys. So. Many. Toys. High-quality earphones for your phone&apos;s music player, designed to sound good loud, were called (of course) Motörhead-phones. "Enhanced reality" glasses made everything... enhanced. The "fun" theme is integral; unlike computers, phones at the show are all, at least a little, toys. The deals are immense, but the show strains toward the look of a playground. Artists made chalk drawings of the host city with a slide in the center that the sales reps could pretend to ride, while posing for pictures. 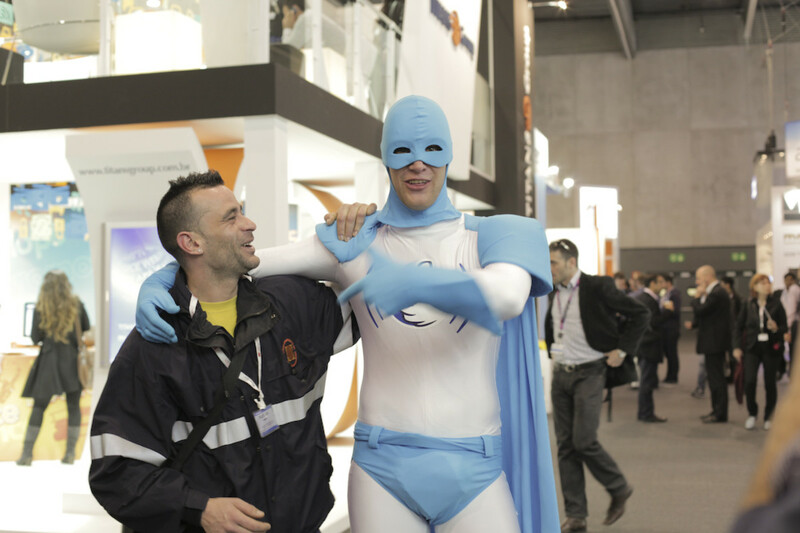 And superheroes (see also: temporary jobs for Spaniards, above). And robots, going about their days. The key questions for the industry remained unresolved, like, "Is it healthy to stare at your own palm all day?" The moving sidewalk in the picture above threw someone every few minutes—for looking at a mobile screen too intently when the sidewalk ended. And the tech was, ultimately, tiring. After a few hours, the flashing lights and glowing icons took on the redundant, intrusive feeling of a casino floor. That our phones are changing the economics—but more so the psychology—of daily life, was a constant theme inside the hall. Much of the event pitches itself as a cultural gathering, and a commercial activity nearly accidentally. Typical tech: tribes not companies. But for mobile this is tougher, because of the product&apos;s very mobility. Even inside the conference hall, the real, mundane world was in plain sight, and not nearly as interesting as what was on the phone. 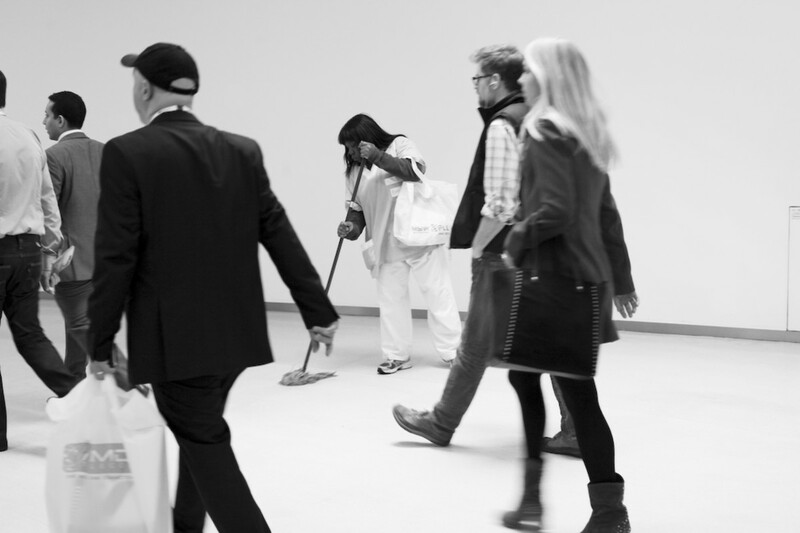 The person cleaning up here (she asked we leave her name out) said she didn&apos;t have her phone on her at the show, and she&apos;s perhaps the only person in the hall who could say that. But having it wouldn&apos;t have changed much, she said—her breaks were short. She was exhausted by the fourth day, although she said she appreciated the mobile industry creating her job that day. 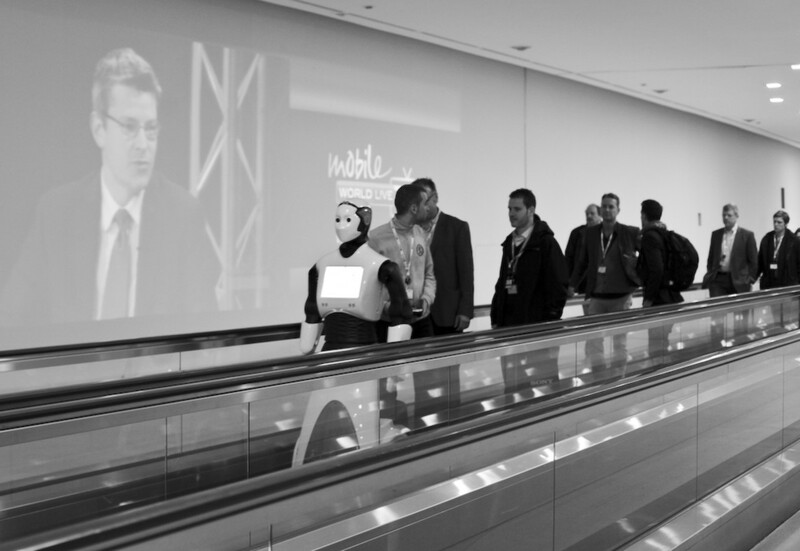 That&apos;s a line everyone at the show said—and yet, the connection the technology offers seemed to create no greater eye contact, no more frequent introductions or talking, between the shows&apos;s international workforce and the local one. At the furthest end of the final hall the optimism was unconditional. 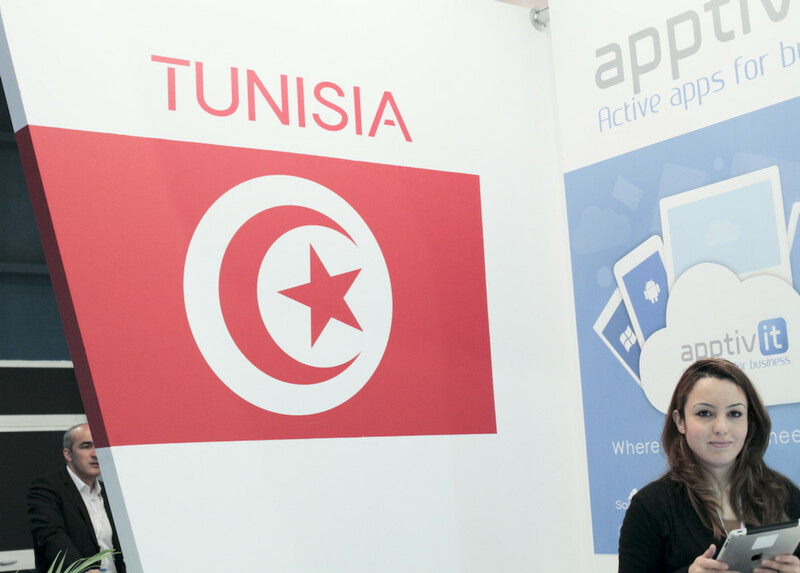 "Nothing changes," said the woman below, who works with a Tunis-based app developer. "That&apos;s OK. Business is business." Two of Apple's largest investors called on the tech giant to take smartphone addiction more seriously. Research shows they're right to be concerned.